The sight of Gracie and Archie’s multi-million pound house, set in its own woodland and named after ‘Mr Tower of London.’ They moved into it in the late 1920s and but left again in the early 1930s. 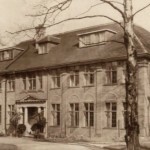 The house was sold and eventually became a maternity annexe to the North Middlesex Hospital. The house was demolished in the early 1990s and has now been replaced with a set of million pound apartments. There is another house on the Bishop’s Avenue currently standing derelict called ‘The Towers’, which is not related to the original property. 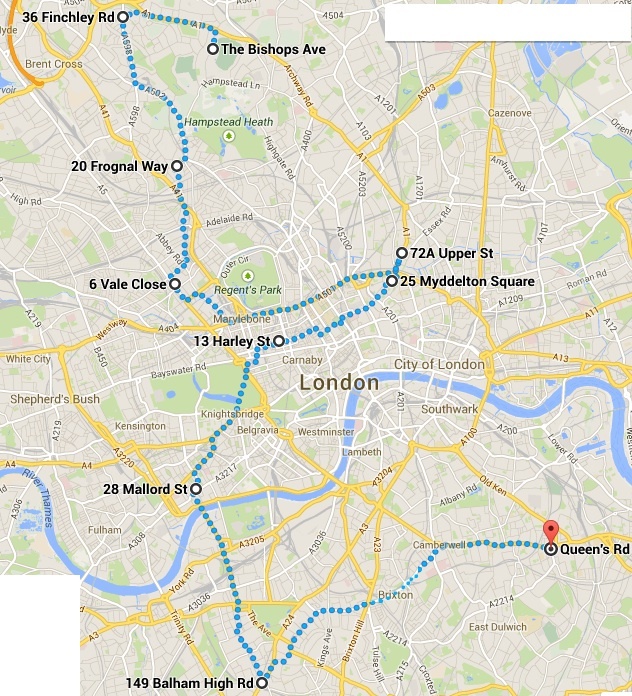 The former site of Gracie’s property ‘Greentrees’, her London base during the 1930s. With her lived Auntie Margaret, Mary Barratt and Harry Parr-Davies. The house was eventually given up when Gracie received an unexpectedly high tax bill. 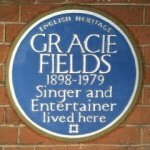 ‘Bluetiles’ -a house with a plaque on stating that Gracie built the house for herself. 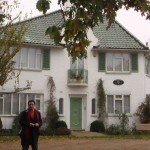 This may have been the case, but she certainly never lived there and the house was given to Archie and his mistress Annie Lipman to live in while Gracie lived in Greentrees during the 1930s. The home of Gracie’s agents, Lillian and Bert Aza. 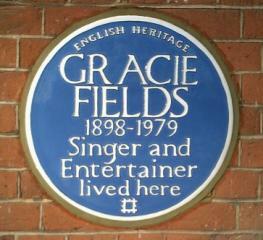 Gracie often stayed here in the 1960s when she no longer had a base of her own in London. Originally a mall maisonette above a sweet shop, now a restaurant, this was Gracie and Archie’s first home together in the early 1920s, and kept until they moved into ‘Tower.’ Fred and Jenny are also known to have lived at this address for a period of time. There is now an English Heritage blue plaque on the building. 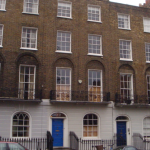 The Stansfield family’s first property in London was half of a ground-floor apartment in Myddleton Square. Fred had reluctantly moved to London, to accept a job with Gillette and to be closer to their daughter who was beginning to achieve success in London where she was now based with Archie. Betty Stansfield and Roy Parry were married at the Church in Myddleton Square facing the property. 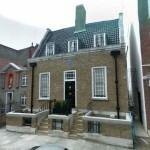 A flat that Gracie and Monty rented in the late 1940s and used as a London base when Gracie was in England. This was given up after Monty’s death in 1950. A house built for himself by Augustus John, which Gracie purchased from him in the mid-1930s as a ‘love nest’ for herself and John Flanagan. Gracie kept this property until the early 1940s, with her sister and family taking up residence after her relationship had ended with Flanagan. There is a blue plaque on the building honouring John. The site of Archie Pitt Agency. Gracie and Archie were known to reside “at the office” for a time in the early years. 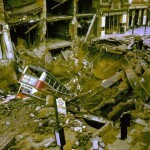 The property was destroyed by the bomb which destroyed Balham tube station in 1940. It is now a Sainbsurys, so you can pick your shopping up on the tour! Gracie and John Flanagan were known to rent a set of rooms “a tiny little garret” in the early days of their relationship somewhere along the Queen’s Road, known as ‘Queen’s Road Studios.’ The exact location has yet to be found, so if you take the tour and find it let us know!